Are you in the market for a new audio system to help transform your music listening and film watching at home? McIntosh might just have the device you're looking for in the form of the new MXA80 Integrated Audio System. Fully equipped for the HD age, it features a high-resolution-compatible digital to analogue converter (DAC), enabling a wide range of devices, including smartphones, tablets and laptops. The MXA80's high-performance 50-watt stereo amplifier, miniaturised for the space-saving chassis, plus a pair of specially designed aluminium chassis two-way desktop speakers offer serious power that you wouldn't expect from such a small system. Plus its four digital inputs make it easy to connect smart devices and everyday home tech to the system (as well as two additional analogue inputs cater for existing home audio equipment). So whether you're looking to stream audio on Spotify from your smartphone or connect it up to your vinyl player for a little retro action, the MXA80 is for you. 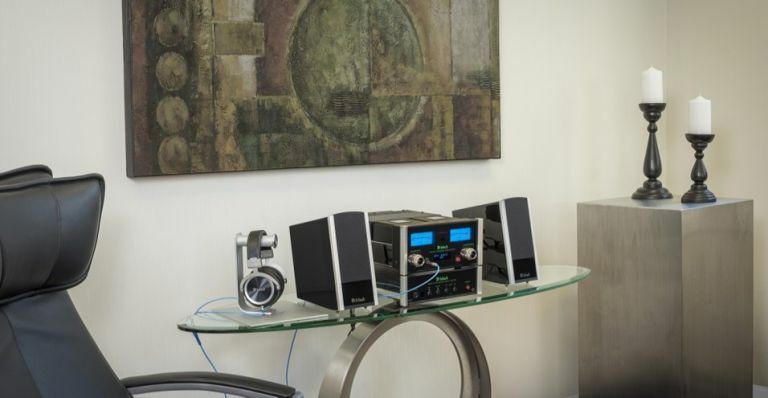 The McIntosh MXA80 is priced at £7,500 and can be ordered now from jordanacoustics.co.uk. As reported previously on T3.com, Samsung is gearing up for the release of a freshly updated take on its VR-focused Gear 360 camera. Best of all, you can now pre-order the 360-degree capture device in the UK ahead of its launch on 12 May 2017. Whether it’s packed in a bag or a pocket, the redesigned Gear 360 is lightweight and compact, making it perfectly portable. It’s also now easier than ever to capture a full 360° view of the world with real 4K video capabilities, as the 8.4-megapixel image sensors and Bright Lens F2.2 on both dual fisheye lenses, result in crisp, clear and high-quality content. In addition, the Gear 360 introduces real-time content sharing. When the Gear 360 is synced with a compatible smartphone or computer, the new device enables users to share their best experiences with high-quality live streaming or direct uploading to platforms such as Facebook or YouTube. You now pre-order the new Gear 360 through Samsung’s online store (priced £219.00), as well as selected retailer partners. To celebrate its first appearance at the National Association of Broadcasters 2017 conference, Dell has unveiled its first HDR monitor that meets the HDR10 standard and two new premium UltraSharp monitors with InfinityEdge displays. The Dell UltraSharp 27 4K HDR Monitor (UP2718Q), the company’s first HDR10 display with UHD Alliance Premium Certification, boasts an Ultra HD 4K display, with four times more detail than full HD and the depth of 1.07 billion colours. This monitor allows creative professionals to view and edit HDR10 content to create incredibly realistic images. Dell also has two new regular UltraSharp displays on the horizon — the 27-inch, 4K U2718Q for $699.99, and the 25-inch U2518D for $499.99. Meanwhile, you’ll be able to buy a Samsung HDR10 on 23 May for $1,999.99.